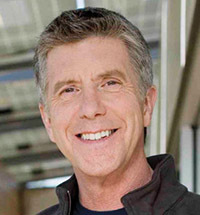 Tom Bergeron is the enormously appealing and gregarious host of ABC’s hit show Dancing with the Stars, which now boasts a viewership of nearly 20 million viewers an episode, and for which he was nominated an Emmy Award. He is also the current host of America’s Funniest Home Videos, and the former host of Hollywood Squares (1998 - 2004), for which he won a Daytime Emmy in 2000. 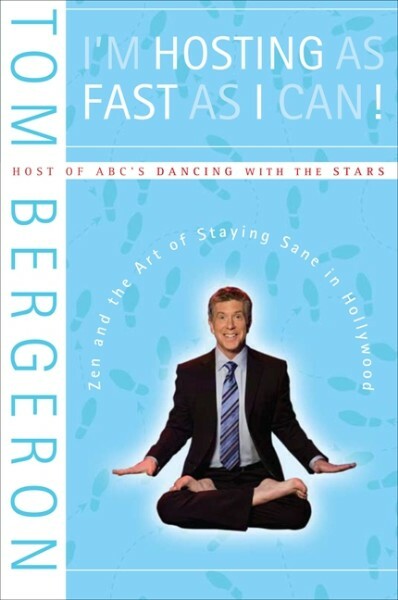 I’m Hosting as Fast as I Can: Zen and the Art of Staying Sane in Hollywood (HarperOne), is a series of humorous and inspirational essays on surviving Hollywood, including behind the camera stories with A-list celebrities. As a keynote speaker, commencement speaker, or after-dinner speaker, Bergeron shares with audiences the secrets of how he never breaks character, stutters or so much as breaks a sweat (even when an Osmond faints at his feet on live TV), uses meditation and other regimented, relaxation techniques to stay focused, energetic, and happy on and off the camera. He also shares hilarious, behind-the-scenes anecdotes about the myriad celebrities with whom he has worked and who have graced the dance floor of Dancing with the Stars. When he was 17, Bergeron became the youngest DJ ever at WHAV Radio, the station in his Haverhill, Massachusetts, hometown. Working his way up in radio, he soon found himself hosting his own show, The Tom Bergeron Show, a late night talk/comedy show that tripled ratings for the New Hampshire station on which it aired. In 1982, while still hosting the New Hampshire broadcast, Bergeron added television to his plate, as host of the Emmy Award-winning magazine series Super Kids at WBZ-TV Boston. The success of Super Kids earned Bergeron other hosting duties at the station, including the daily broadcast 4 Today and the Emmy Award-winning children’s series Rap Around. Then, in 1987, he was tapped to host People Are Talking, the station’s popular morning series, where he remained for the next six years. While still on People Are Talking in 1990, Bergeron also began the city’s top morning radio show on WBZ-AM. In 1993, Bergeron made the leap from local to national television as host of the upstart cable network FX’s Breakfast Time. His sardonic humor and anything-goes approach made him an instant hit with viewers. Two years later, the series moved over to the FOX broadcast network, reaching an even larger audience. He proved up to the challenge, and following his stint with FOX, Bergeron served as a guest anchor of Good Morning America. Bergeron commutes between Los Angeles and Connecticut, where he resides with his wife, Lois, and two daughters, Samantha and Jessica.